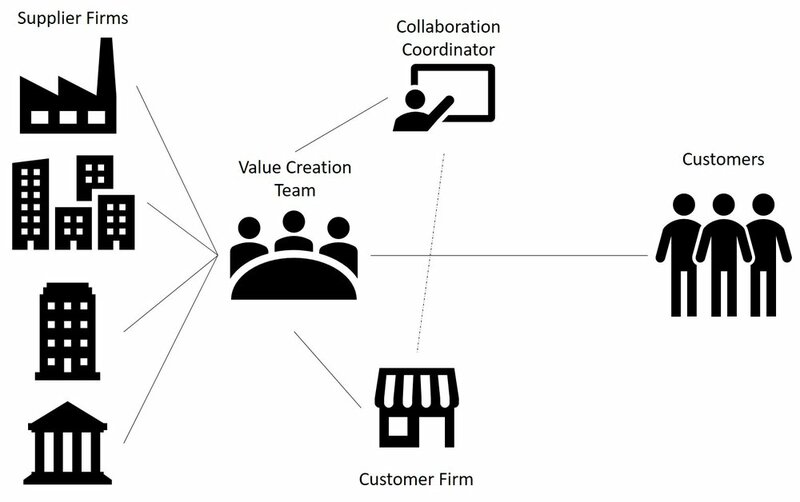 Building Value through Co-Creation utilises a model we have created called Extra-Organisational Collaboration. Extra-Organisational Collaboration involves three role entities. However, participants may play more than one role in the establishment of the collaborative network. The three roles in the model are defined as the Customer Facing Firm, the Supplier Firm and the Collaboration Coordinator. Customers also play a role in the co-creation activities of the Extra-organisational collaboration but are not seen as providing a central role in establishing or sustain the co-creation endeavours. The relationship with the customer and their engagement in the value creation process does however play a significant role in determining the success of the collaborative endeavour.